Esophageal cancer is cancer that occurs in the esophagus — a long, hollow tube that runs from your throat to your stomach. Your esophagus carries food you swallow to your stomach to be digested. 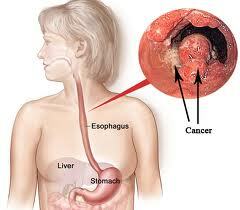 Esophageal cancer usually begins in the cells that line the inside of the esophagus. Esophageal cancer can occur anywhere along the esophagus, but in people in the United States, it occurs most often in the lower portion of the esophagus. More men than women get esophageal cancer. Esophageal cancer isn’t common in the United States. In other areas of the world, such as Asia and parts of Africa, esophageal cancer is much more common. Squamous Cell Carcinoma : Cancer that forms in squamous cells, the thin, flat cells lining the esophagus. This cancer is most often found in the upper and middle part of the esophagus, but can occur anywhere along the esophagus. This is also called epidermoid carcinoma. Adenocarcinoma : Cancer that begins in glandular (secretory) cells. Glandular cells in the lining of the esophagus produce and release fluids such as mucus. Adenocarcinomas usually form in the lower part of the esophagus, near the stomach. Surgery : Surgery is commonly used to treat esophageal cancer that has not spread beyond the esophagus and its surrounding lymph nodes. 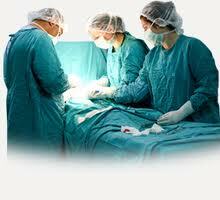 The goal of the operation is to remove the cancer and nearby tissue that may be affected. 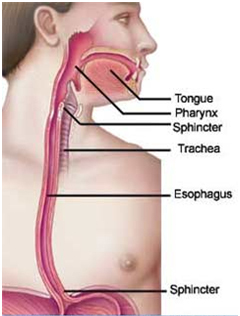 In an esophagectomy, the surgeon removes part of the esophagus, nearby lymph nodes, and possibly part of the stomach. The remaining part of the esophagus is then connected to the stomach. Chemotherapy : Chemotherapy is the use of drugs to kill cancer cells, usually by stopping the cancer cells’ ability to grow and divide. Radiation therapy : The use of high-energy rays to damage cancer cells, stopping them from growing and dividing. Like surgery, radiation therapy is a local treatment that affects cancer cells only in the treated area. For some early (small) cancers, the esophagus can be removed through several small incisions instead of 1 or 2 large incisions. 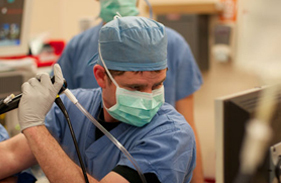 The surgeon puts a scope (like a tiny telescope) through one of the incisions to see everything d uring the operation. Then the surgical instruments go in through other small incisions. In order to do this type of procedure well, the surgeon needs to be highly skilled and have a great deal of experience removing the esophagus this way. Because it uses smaller incisions, minimally invasive esophagectomy may allow the patient to leave the hospital sooner and recover faster.